“Home For The Holidays” is an incredible holiday celebration, full of humor, personality, and gorgeous choral music. 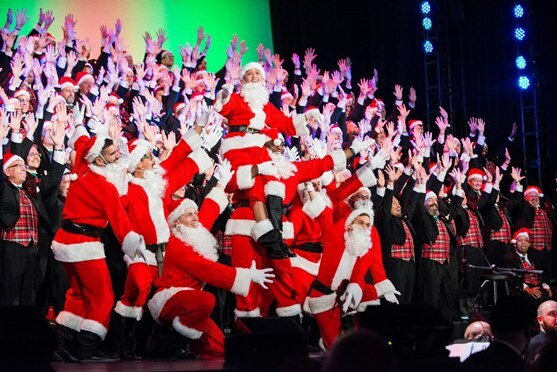 SFGMC’s performance features classic holiday favorites, alongside some new works that are sure to warm your heart and get you in the festive mood. Net proceeds support F2F’s mission of ending HIV in Sonoma County while also caring for clients affected by the recent firestorms. If you are not able to join us on December 16, and would like to make a #GivingTuesday gift in support of Face to Face’s mission please fill out the form below.